The Pixel 2 XL, which is made by LG, looks handsome. Thanks to the front-facing speakers, the bezels are a bit bigger than its closest cousin, the LG V30. But the 2 XL still looks like a modern slim-bezel smartphone. The display has curved corners, just like the iPhone X, Galaxy S8, and LG V30, and it fits in well with the rest of the high-end crowd. The smaller Pixel 2, which is made by HTC, looks like a bit of a mess from the front. The top and bottom bezels are gigantic — and honestly pretty ugly. With the Pixel 2 and its larger companion, in particular, we've gained very little by losing the headphone jack. Sure, they're much more water and dust resistant than the last models. But the Pixel 2's IP67 certification is something several Android phones have offered for years — and they didn't need to lose the port to achieve it. Typically when we move away from legacy hardware, we're headed to something better. But in the case of the 3.5mm headphone port, the tech world seems to have forgotten that. Oh, and Google's answer to the missing headphone jack? A pair of its new Bluetooth headphones, along with a $25 USB-C to 3.5mm adaptor. Since the Google Translate app can translate between 40 different languages — that's 1600 combinations — so can Pixel Buds. There's another pop culture reference to evoke here (the Babel Fish from Hitchhiker's Guide to the Galaxy), but translating with Pixel Buds is not that seamless. I'm a little dubious that this is any more convenient than just passing your phone back and forth and doing everything there, but it worked really well in the demo: a fairly natural voice in my ear translated what the other person said. It's not quite in real time, but it's very fast. Still, I wouldn't be surprised if the Mini quickly becomes the most popular way for people to use Google Assistant outside their phones. It's cheap, looks good, and Google is including one with a purchase of the Pixel 2. And, more than anything, I can tell you it is loud. Overall sound quality is good to great, but Google definitely made bass and volume major priorities for this device. Still, $US399 ($512)? Come on. And that's without factoring in the cost of a mail forwarding service, since no Australian release has been announced. You can't really use the Pixelbook for the kind of things that typically justify a $1000+ price tag, like gaming, photo processing, development, or video. Chrome OS defenders can come up with some janky web or Android apps that roughly emulate some of these use cases, but none of them are the kind of industry-defining programs you get on other platforms. For around the same price you can buy a decent MacBook Air, an iPad Pro (including an Apple Pencil), or a laptop like Microsoft's Surface Pro, all featuring fully functional apps from a variety of developers. Google's Pixelbook needs to bring more high-end apps to its Chrome OS platform before it can convince anyone a new way to search is worth a grand. No Australian pricing or release date has been announced either, so you're going to have to be really keen to go through the trouble of importing it. It doesn't grab audio, but it does have smart recognition features on board. It also doesn't use any kind of network connection, so it's not broadcasting the stuff it captures anywhere. You can connect to your phone to check what you've got. Many have responded to this device by calling it creepy and invasive. This is a similar reaction to the one that tanked Google Glass. People don't like the idea of an always-on camera watching them, doubly so if it's powered by artificial intelligence and created by a company that makes its money by collecting your personal data and allowing advertisers to target you. Australian pricing and availability have not been announced. The announcements are clear indicators that Google isn't playing around when it comes to improving its user experience — and expanding its presence — both in your home and on your phone. 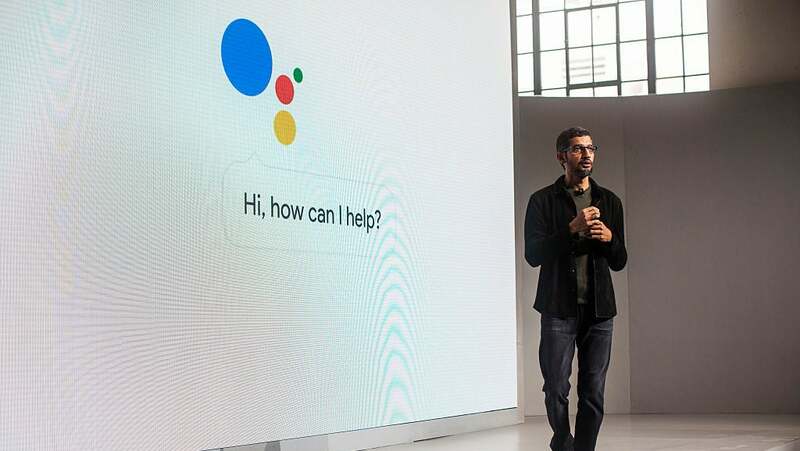 Improvements to its machine learning algorithm; cheaper voice assistants for more smart home functionality throughout the home; and a sequel to its Pixel smartphones that improves on both the camera and display; all make being embedded in Google's ecosystem a more rewarding and functional experience. That, plus its accessories such as the Pixel Buds and Google Clips, put the company in direct competition with other giants such as Apple and Amazon. With appealing products at a variety of price points, their gambit furthering their reach into your daily life is dependent on how well all the pieces work together, which remains to be seen (though come on, you'll probably get that cute-as-a-button Google Home Mini).